1st day: Leave for Delphi via Thebes, Levadia and the picturesque village of Arachova, on the slopes of Mount Parnassus, arrive in Delphi and visit the Sanctuary of Apollo Pythios, (Treasury of the Athenians, Temple of Apollo, e.t.c.) and the Museum. Afternoon free. Enjoy dinner and stay overnight at Delphi. 2nd day: Morning free. Leave Delphi for an interesting trip through Central Greece and the town of Lamia to Kalambaka. Enjoy dinner and stay overnight. 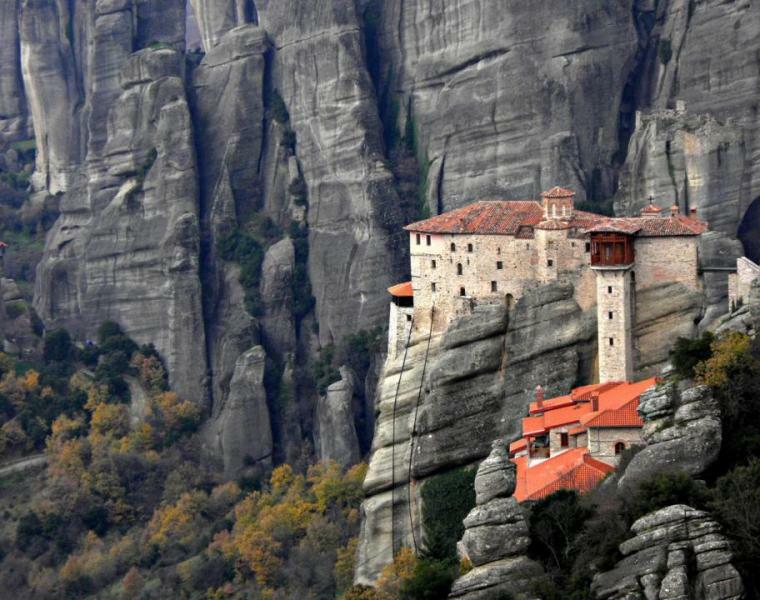 3rd day: Visit Meteora, particularly impressive scenery, ageless Monasteries, containing priceless historical and religious treasures, stand suspended between earth and sky, on top of granite rocks. Return to Athens via Trikala, Lamia. Thermopylae (short stop to see across the road the Leonida's Monument), arrive in Athens early in the evening.